The Anaheim Regional Transportation Intermodal Center (ARTIC) is the perfect way to explore Orange County. Located in the middle of it all, this 67,000 square foot facility is a sleek, modern transportation hub that gives you access to all of Southern California in one spot. ARTIC brings together Metrolink, Greyhound, Amtrak, OCTA, taxis, bikes and so many other transportation services, both public and private, giving you access to all of the sights, events and attractions that Orange County has to offer. Planning a day trip has never been so easy. Now visitors have the freedom to explore all of Orange County without the fuss of travel. ARTIC has all the transportation options available in one easy and convenient location making catching a bus, train ride or even a taxi as simple as can be. For those who have their own vehicle but don’t want to worry with directions or traffic, ARTIC has a convenient Park and Ride lots. Featuring both long term and short term parking lots that are adjacent to the hub, this allows visitors to let their wheels rest while they head out to explore. A complete list of destinations is available to give you a head start on planning your next adventure in Orange County. For those of you that live in Orange County, visiting Disneyland has never been so streamlined. Forget the traffic and lengthy car ride that encourages sibling rivalry in the back seat. Disneyland can now be a fun weekend trip for the family. Take your chosen method of transportation to ARTIC from anywhere in Orange County. 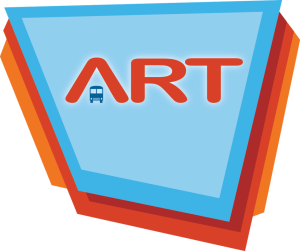 From ARTIC you can catch a ride on ART (Anaheim Resort Transportation) to bring you the rest of the way. Not only will a Disneyland trip be faster and easier for the family but it will save you time and gas leaving a little more change in your pocket after a great time. ARTIC is more than just transportation! Complete with restaurants for a nice relaxing dinner or grab-and-go shops if you want to eat on the run, coffee shops with bold, unique roasts, open air cocktail bars, and even a convenience store, Anaheim has hit a new standard when it comes to travel. New stores and restaurants are coming soon to give you even more shopping and dining options. Enjoy a pre-game drink before an Angels game or a cup of coffee on your way to your destination. ARTIC is the perfect travel solution for families, businessmen and casual explorers on the go.